It is indeed a rare phenomenon that a single Individual displays excellence in multiple areas. 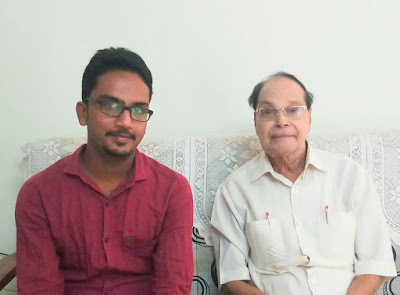 Such a rare talented person is Mr. Turlapaty Kutumba Rao hailing from the hub of commercial and political activity, the city of Vijayawada, Andhra Pradesh. Veteran journalist, virtuoso orator, intrepid speaker, éclair of the stage and epitome of values, his versatile personality won him many laurels. This champion of awards, a Telugu prodigy, Turlapaty is the pride of India. He was born on 10th august, 1933 to Sundara Ramanuja Rao and Seshamamba. He grew up to become a distinguished personality of the noblest quality and the least egoistic. He began his career as journalist at an early age of 14 working under the footsteps of “Andhra kesari” Tanguturi Prakasham Pantulu garu fighting for the justice for People in genuine cases. He worked as sub editor in 1951 for telugu weekly ‘Vahini’ of Acharya N.G. Ranga till today and achieved many milestones in his journey. · Turlapaty Kutumba Rao has the ideal combination of the skills of his pen and the tone of his rich voice. Both have greatly admired all sections of people everywhere. 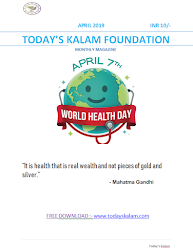 · He was honored as state orator for a period of three years from 1982 by the government of Andhra Pradesh. He had singular credit of delivering over 16,000 speeches through out the state touching almost all concepts on the face of earth. · As a Journalist, he written over 4000 biographies. 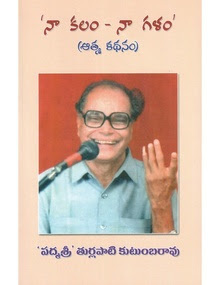 The journey of his life is recorded in his autobiography, Naa Kalam - Naa Galam, released in 2012. Turlapaty Kutumba Rao is a friend of Film Industry since he acted as editor for Jyothi Chitra. Turlapaty Kutumba Rao completed his seventy years of journey in Journalism and let us hope the pride of telugu people will reach heights under his guidance.